Final tax payments are due in mid-April of each year. Whether you are a contractor or an employee, you still have to pay taxes on your earnings. Sometimes you can get refund checks from the IRS if your employer has withheld too much money or if you have paid the agency too much in quarterly taxes. There are calculators and forms that can calculate your tax refund, or you can do it with the paper form and a calculator. 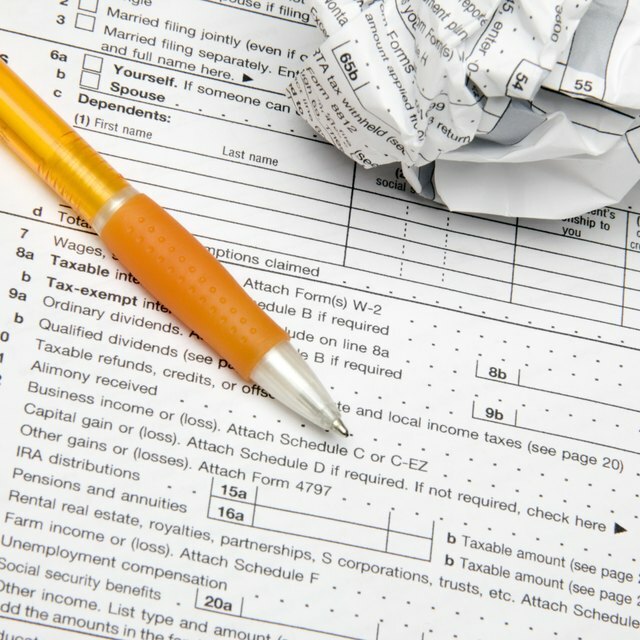 Find out if you should file form 1040EZ or 1040. People who file 1040EZ can be married or single with no dependents. Their income must be less than $100,000 annually, earned through wages, salaries, tips, taxable scholarships, or unemployment compensation. The long form 1040 is for anybody to use, but people who earn more than $100,000 must use this form. Add up your total withheld pay for the year by looking at your W-2 or 1099 forms. This includes the state, local and federal tax withholdings. Add up your total income for the year using the W-2 or 1099 forms as a reference. How Do I File a 4868 Form Electronically? Subtract any applicable deductions from your total income. You may choose to itemize deductions or choose the standard deduction, which changes from year to year. Look at an updated tax table to determine your tax bracket. The more money you make, the higher your tax bracket. Deduct any tax credits for which you qualify, such as college tax credits or real estate credits. Subtract the tax total you owe from all the income that was withheld. A positive number means that you will receive money back from the IRS, while a negative number indicates that you owe money. For example, if you owe $5,000 in federal taxes but $5,200 was withheld, you can get a $200 refund. Contractors who do not pay quarterly taxes may face steep IRS fines in April.